At Greene Comprehensive Family Dentistry, our goal is to save teeth, unfortunately not all teeth are savable. Dental Implants are a tooth replacement alternative to a conventional bridge, removable partial denture or complete denture, that began being incorporated in the 1970's. 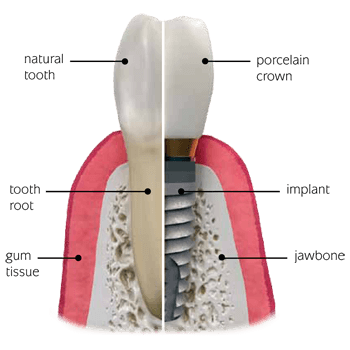 At Greene Comprehensive Family Dentistry, we offer single dental implant or multi-tooth replacement option with very high predictability.